We believe that the high education quality and the constant care we provide for the safety of the children in the camp, make us one of the best camps in Bulgaria. Taking care of the children during activities in the international camp: The ratio adults to children is 1:5. This makes it possible for all activities to be performed in a safe manner. 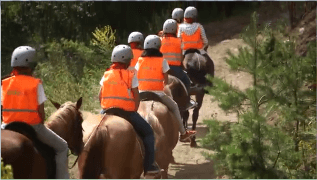 During activities such as horse riding, swimming, cycling, mountain hiking, etc., in addition to the camp staff, the presence of qualified instructors, guides, and coaches is also ensured. The whole team of English Language Camp for Children LuckyKids (teachers as well as animators) consists of experts in childcare, who demonstrate personal competence and active involvement. Leisure facilities: The International Language Camp Children LuckyKids takes place on the premises of Lucky Bansko Aparthotel. The hotel has all the necessary equipment and meets all requirements for the organization of vacations for children. On each floor, animators and teachers are accommodated next to the children, thus preserving the safety of children during their stay in the rooms and during the night-time period. All hotel premises that are used by the children in the camp conform to the requirements for fire safety and safety in emergency situations, as well as to the requirements for preservation of the health and safety of children. All glass items in the accommodation part of the hotel are unbreakable. The team of the Foreign Language Camp accompanies the children during their transfer with the mini-buses and ensures their safety. During transportation of the children who participate in the camp, the drivers of the mini-buses irrevocably follow the requirements of the Road Traffic Act. Our excursions and hiking tours take no more than 20 km from the place of accommodation, exception being made only by the full-day excursion, where there is a 100-km walking tour in one direction. The drivers of the mini-buses are obliged to meet the speed limit required by law for transportation of children. 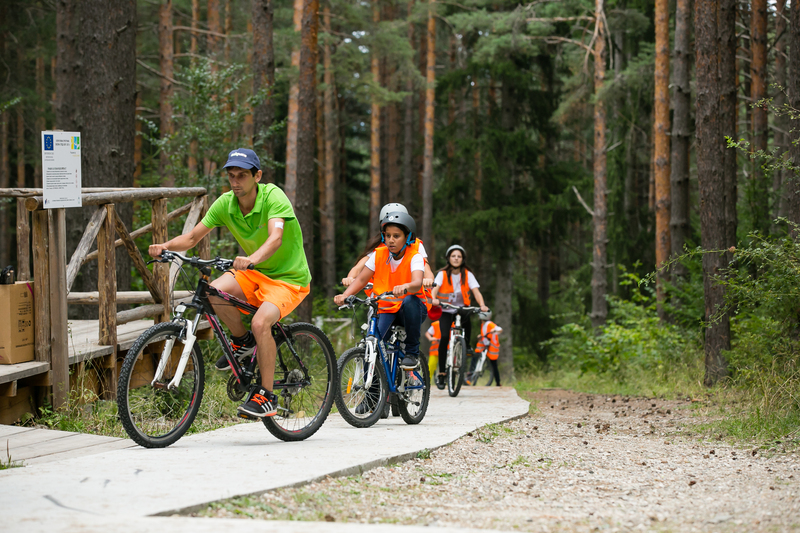 LuckyKids organizes excursions only during the daytime, without any night stays in a place other than Lucky Bansko Aparthotel in the town of Bansko. LuckyKids has a qualified medical practitioner who is available at the camp 24/7. If a child from the camp needs medical assistance, the parents (or the persons indicated in the Health Form) are informed immediately. The information provided in the Questionnaire-Declaration completed by the parent, regarding heavy allergies, disabilities, or any serious health issues, is studied carefully, so that the child’s stay in the camp is made as safe as possible, and taking care of the child’s health is guaranteed. If a child refuses to eat enough, his/her parents are notified and the child’s stay in the language camp may be terminated by the organizers. Adequate programme: In case of any emergency situation that may arise during the green school (bad weather conditions, technical failures, etc. ), and that may impede a particular activity, posing a risk to children’s safety, the director of the camp shall ask for a second opinion from a competent person, and, when that is necessary, shall revoke or postpone the activity for a later stage of the camping period.